The air quality forecast for August 26 in the vicinity of Lake Tahoe is "Unhealthy for Sensitive Groups". This means some people will experience health effects, but the "general public" is not likely to be affected. However, everyone breathing smokey air is breathing fine particulate matter into their lungs. Smoke also carries volatile compounds and nitrogen oxides, which form ozone through chemical reactions that are fueled by sunlight and warm temperatures. Therefore, ozone levels may also be elevated at times throughout the day. There is an air quality advisory in effect through August 27 in Washoe and Nevada Counties. The 3 hour average particulate chart from Placer County shows the air at Kings Beach and Tahoe City actually reached the "Unhealthy" zone today. The National Weather Service predicts a change in the weather this week that could bring thunderstorms and cleaner air. If you smell smoke, reduce strenuous outdoor activities. Reducing your exposure time to smoke is the best health option. The American Fire, 40 miles west of Lake Tahoe is burning less intensely now. It is now 65% contained and has consumed 24,408 acres. 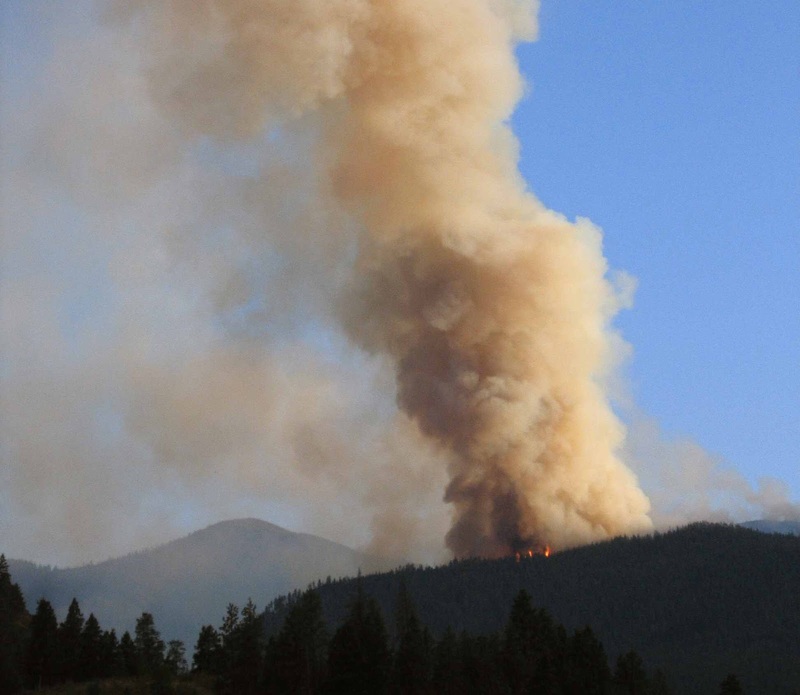 The Rim Fire, 63 miles south off Lake Tahoe, is still out of control and has consumed 149,780 acres. The fire is 15% contained. Placer County monitoring results since August 11, 2013.